2015 is drawing to a close! 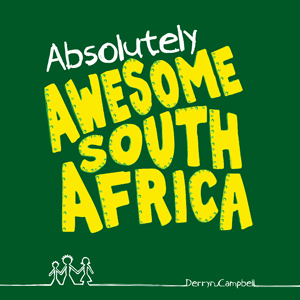 Awesome SA has achieved success because of your support. Thank you! Have a wonderful, relaxing and joyful festive season. We look forward to working together in 2016. From disadvantaged children to leaders, the Bakusasa Trust is changing the lives of children through the game of golf. If you'd like to get involved in sponsoring a child, contact Lee at lee@bakusasa.org.za | www.bakusasa.org.za. Awesome SA has secured premises for Gcina Mhlophe’s Memory House on the second floor of Pixley House in Durban. Thanks to Propertuity for your very generous contribution in enabling the Memory House to become a reality. If you would like to contribute or get involved please contact nikita@awesomesa.co.za. Eden Kids Foundation was established by Pastor Joel to enhance the development of primary school children living in the Jika Joe/Masukwana Informal settlement in Pietermaritzburg, KwaZulu Natal. See more on Together SA. The issue of University fees has been in the spotlight over recent months. The team at Awesome SA discovered that students at UKZN, Pietermaritzburg Campus do not have enough money to feed themselves or live in decent accommodation and put out a call to assist students in need of support. Woolworths at the Cascades Lifestyle Centre, Pietermaritzburg now donate food every Friday through Awesome SA to assist these students. On 30 September 2015, our team joined more than 200 organisations and 15 000 South Africans who took to the streets across the country and marched as a call for an end to corruption. We believe that anything is possible when South Africans come together for the good of our country. Launched in September 2015, this recently published coffee table book is packed with completely new content and design on every page and is full of South African humour, history and interesting facts.